Party like a Yacht Star on a Yacht StarShip IV’s Live DJ Party Cruise. Offered From March 29th – April 26th 2019 on select Friday nights – the hottest dance party on the water! Rock the Yacht – Spring Break edition is taking off on select Friday nights in March and April, featuring a spectacular 2-hour cruise on the waters of Clearwater Beach, energetic live DJ, dancing and multiple decks of entertainment! These events will cruise rain or shine! Rock the Yacht events are 18 & up with valid ID only. Dress code: The dress code is resort casual attire. 44th Annual Mainsail Art Festival April 20-21 2019 at Vinoy Park St Petersburg Florida. Enjoy FREE admission to Mainsail Arts Festival, held every year over two day period in April. Each year the festival draws in over 100,000 people to St. Pete’s Vinoy Park, where there are over 200- artists and craftspeople displaying their work! This is a sight to behold if you are enjoy and appreciate arts and crafts. If you’re in the mood for some Blues Music don’t miss the 25th annual Tampa Bay Blues Festival. Taking place in Vinoy Park. 2019 line up includes Boz Scaggs, Jonny Lang, Spoonful Of Blues, and Mr. Snip to name just a few. Music until 10 PM each evening. The Clearwater Beach Pier 60 Sugar Sand Festival is a 17 day festival in Clearwater Beach Florida, with 12 world-renown sand artists competing to win the competition. This is truly an unbelievable display to see! Located on Clearwater Beach with tickets ranging from $8.00- $10.00 and children under 3 are free. View the expansive 21,000-square foot tent, and gaze at the artists at work creating their amazing sand sculptures. With free live music, fireworks, and kid’s play zones, there’s more fun to have during the festival than grains of sand on Clearwater Beach. The 2019 Sugar Sand theme will be Sea the World “A Journey Around the Globe”. This event is typically 10 days long however due to overwhelming popularity they have increased it to 17 days! 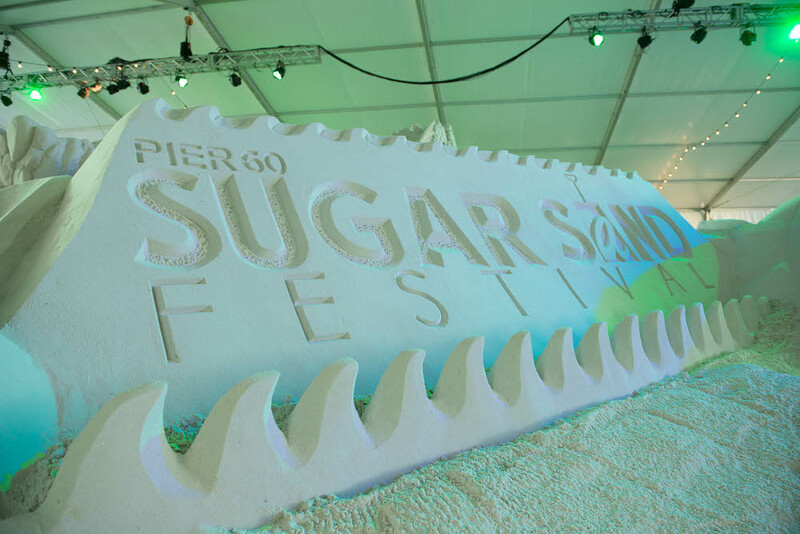 The Pier 60 Sugar Sand Festival gets more popular each and every year. In 2018, more than 120,000 visitors from all around the world attended the festival. We are very proud to launch our brand new website. Please have a good look around and feel free to tell us what you think of it. Hosted by The Tropics Boat Tours and Sponsored by the best of Clearwater Beach! Join The Tropics Boat Tours and their partners for the best night of the year! The Clearwater Beach Scavenger Hunt returns on Saturday, August 26th, 2017. 1st Prize wins $1,200 CASH as well as a 2-night stay at Shephard’s Beach Resort and over $800 in prizes! Boarding will start at 5 PM for a full night of fun. After an hour and a half with your team of 4 to 6 players on board the Tropics Boat, you will be exploring Clearwater Beach looking for evidence to help you narrow down the suspects. Play cards at our 4 locations to gain competitive advantage, discover Secret Passages, buy food and drink items for extra points, etc. Make your final accusation before we party the night away at The Wave inside Shephard’s Beach Resort. Tickets include your cruise, 2 Tito’s cocktails, your Scavenger Hunt tshirt and your cover for the After Party. Hurry! This event sells out annually.